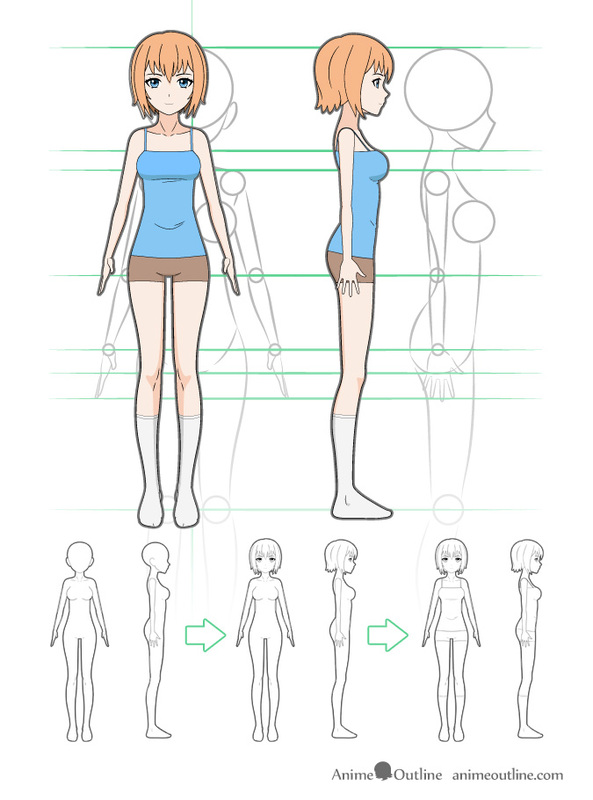 Below is an explanation of how to draw an anime girl from the front and side views. Draw the arms starting from the shoulders and work your way down. 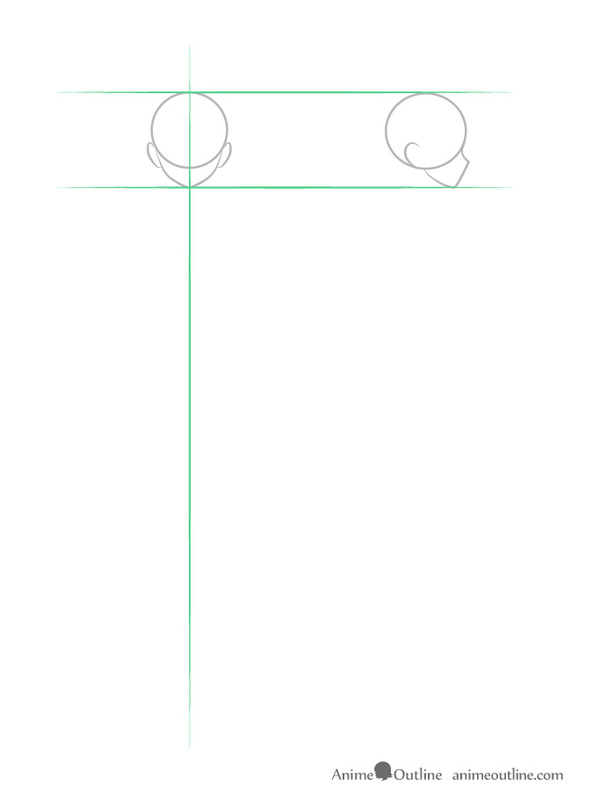 You can draw circles to indicate the position of the joints. Clean up your drawing after you have established the basic shape of the body. 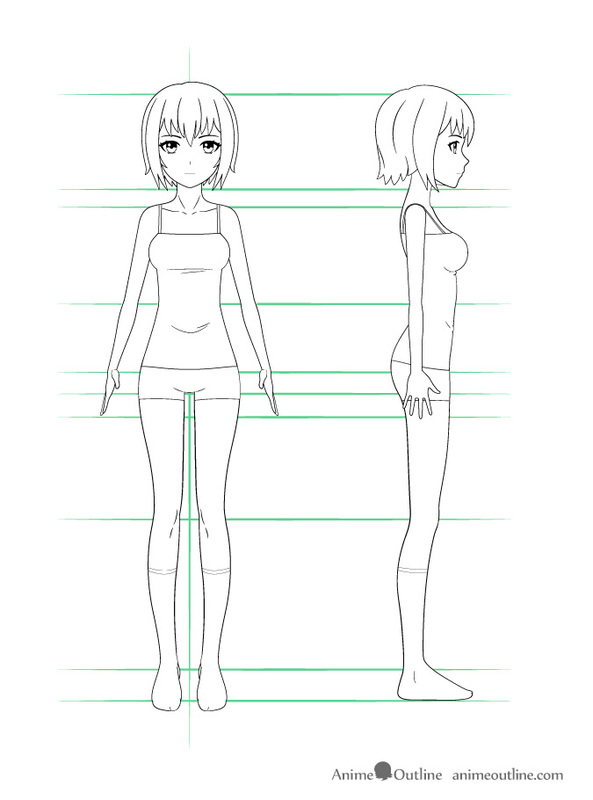 You can also add in some of the smaller details such as the neck collar bones and the a hint of the knees in the front view. Drawn out draw in the details such as the hair and various facial features. 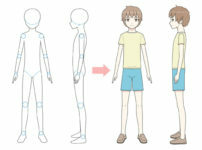 For the clothes we will draw a few basic items. We will draw a shirt, shorts and socks. Since these type of clothes are fairly thin and tight it will follow the overall outline and shape of the body. 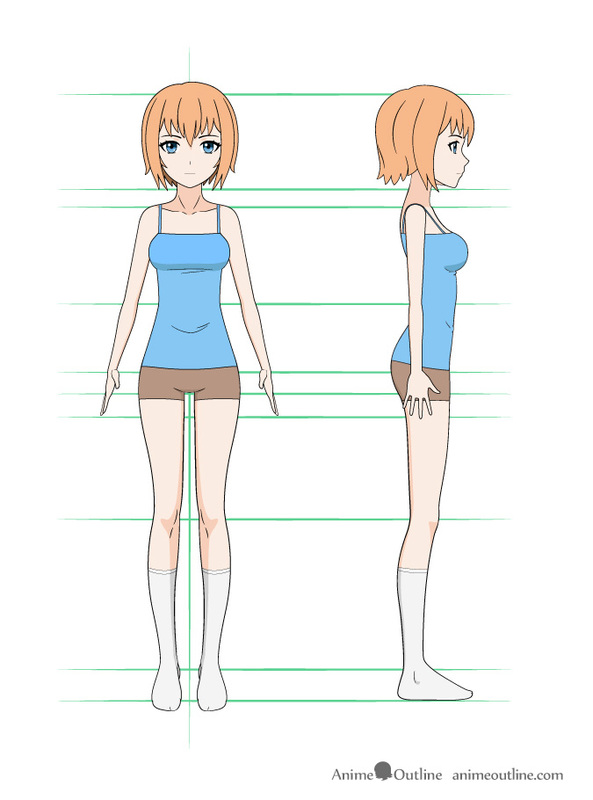 You can also add some very basic small folds to make the clothes look a little more natural. For the finishing touches add some basic color and shading. Any part of the body that is less exposed to light will be darker. 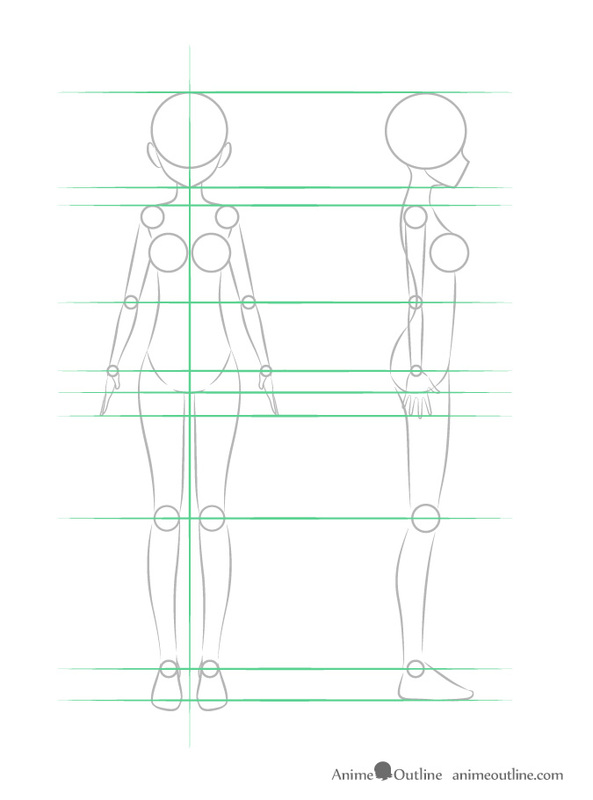 There is a lot keep track of when drawing a full body of an anime character. 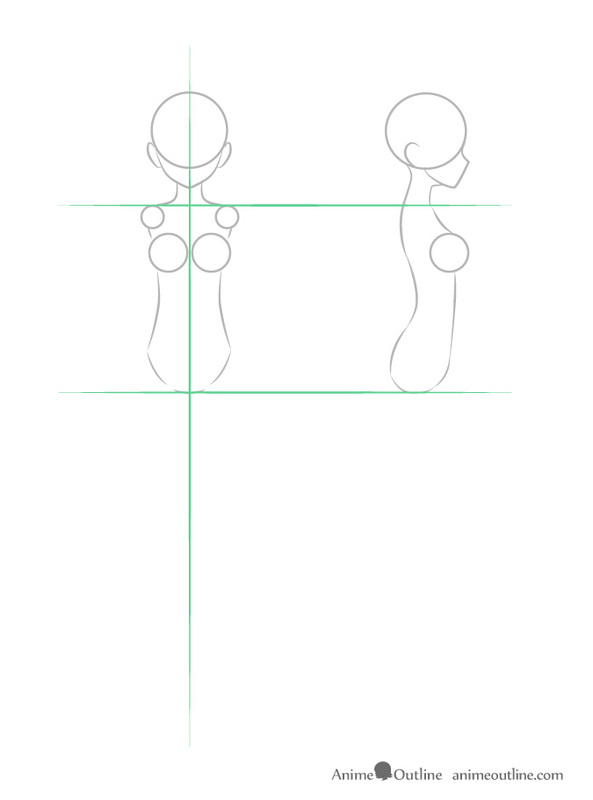 You have to make sure to have good proportions while still maintaining the style. 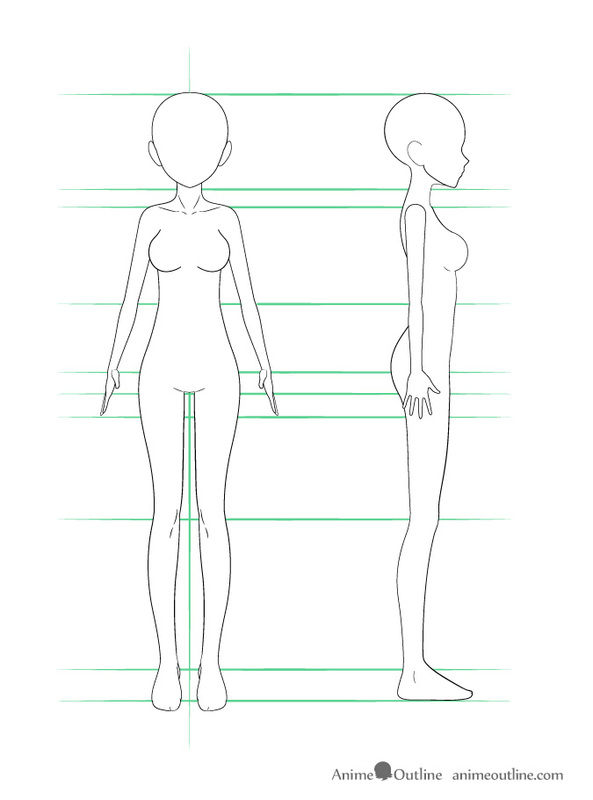 Fortunately most common anime style bodies are still somewhat similar to real bodies so you can look at photos of real people if you need some reference material.